Now the 80's are influencing the papercrafting world and the bright colors and geometrics are so fun in the Kaleidoscope Suite to use in your projects and cards. How fun would it be to have a 80's themed Stampin' Up! party with your friends & family!?! Pair items from this suite along with the Sale-A-Bration items you can get for free and the possibilities are endless! 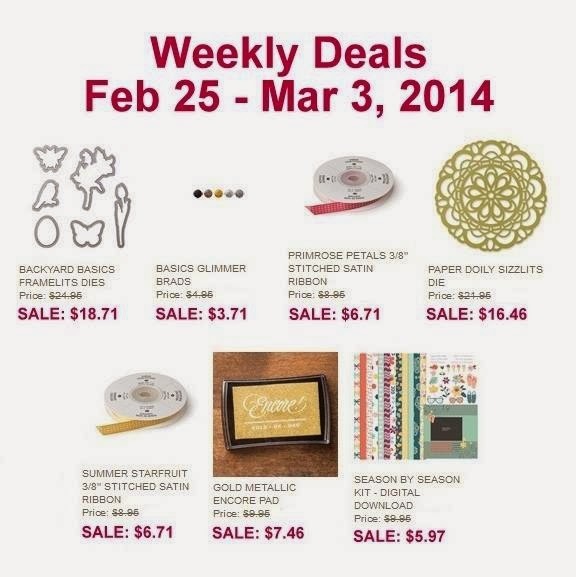 Below are the Weekly Deals for February 25 - March 3, 2014 that also count towards Sale-A-Bration totals AND Stamping Points! Happy stamping!